Anyone who has pimples will surely want to get rid of pimples fast. Almost every person, be it a man or a woman must have gone through the irritating pain and awkwardness of pimples and acne in their face. Yes! We very well know how annoying and embarrassing it is when people uncommonly stare at you as if you have come from a whole different planet. Everyone definitely loves their skin, and want it to be glowing and clean. It is a pure bliss. However, it is not a piece of cake. 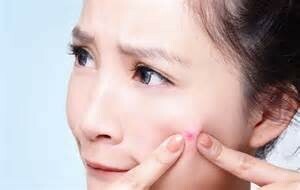 Pimples may occur due to the heat your body may not absorb or if you have rather more sensitive skin and many more other reasons. Here, we will help you with some remedies which can be of your utmost help to get rid of pimples fast. Wrap the ice in a piece of cotton and hold it over the pimple area for about 3-4 minutes. This helps you to get rid of the excessive oil in your skin, which is the main cause of a pimple. You can continue this process as many times as you want throughout the day and the pimple will go away easily within a day or two. Isn't it simple, easy and quick! Steam is just wonderful for the skin. It surely makes your skin clean and clear of all the dirt and bacteria and makes it glow magically. And particularly when you have pimples, steam makes the skin open its pores and flushing out all the impurities which causes the pimples to occur. 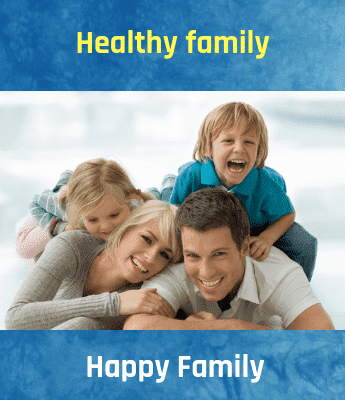 Continue getting steam once in a day for a week and feel the difference. It's the most effective exfoliator for the skin everyone has experienced. All you have to do is mix 1 cup of brown sugar and 1 cup of white sugar, 2 tablespoons of sea salt, 1 whole vanilla bean (after removing the inside stuff), 4-5 tablespoons of vanilla extract and one tablespoon of olive oil. Mix it all, keep for half an hour and apply on your face. Leave for 10-15 minutes and rinse your face gently. People generally don't like this mask due to the sticky nature of honey and spicy nature of cinnamon. But they fail to utilize the advantages of both of nature's gift. Both does excellent jobs when it comes to pimples and acne. Wash your face, mix 2 tablespoons of honey and 1 tsp. of cinnamon. They will form a fine paste. Apply the mask on your face, leave for 15 minutes and wash your face thoroughly. Orange peel paste too is very much effective for pimples as well as it makes your skin look fresh and glowing. Making this paste is also very simple. You will just need peels of 2 oranges and little water. Grind up the peel adding little water at a time so that it does not become runny, rather it must be like a paste. Apply on your face, leave for 20 minutes, rinse and pat dry. Yogurt is always beneficial. Whether you eat or use it as a mask. It always serves the right purpose. And it is just excellent to get rid of the pimples. Not only at these times, but it has been an awesome exfoliator since olden times. All you have to do is take some yogurt, mix a few drops of lemon and apply it on your face and rinse after 15 minutes. And you are all glowing! These remedies are very helpful to get rid of pimples fast. Who doesn't want to look good? Try this, be beautiful! !